What exactly is the Fourth Industrial Revolution — and why should you care? The Fourth Industrial Revolution is a way of describing the blurring of boundaries between the physical, digital, and biological worlds. It’s a fusion of advances in artificial intelligence (AI), robotics, the Internet of Things (IoT), 3D printing, genetic engineering, quantum computing, and other technologies. It’s the collective force behind many products and services that are fast becoming indispensable to modern life. Think GPS systems that suggest the fastest route to a destination, voice-activated virtual assistants such as Apple’s Siri, personalized Netflix recommendations, and Facebook’s ability to recognize your face and tag you in a friend’s photo. As a result of this perfect storm of technologies, the Fourth Industrial Revolution is paving the way for transformative changes in the way we live and radically disrupting almost every business sector. And it’s all happening at an unprecedented, whirlwind pace. Here's everything you wanted to know about the Fourth Industrial Revolution (but were afraid to ask) [click to tweet]. Where did the term “Fourth Industrial Revolution” come from? In the second industrial revolution, electricity and other scientific advancements led to mass production. A third industrial revolution, beginning in the 1950s, saw the emergence of computers and digital technology. This led to the increasing automation of manufacturing and the disruption of industries including banking, energy, and communications. It’s not all good news, however. Schwab also suggested the revolution could lead to greater inequality, “particularly in its potential to disrupt labor markets.” Furthermore, the job market may become increasingly segregated into “low-skill/low-pay” and “high-skill/high-pay” roles, which could escalate social tension. What are the technologies driving change? Artificial intelligence (AI) describes computers that can “think” like humans — recognizing complex patterns, processing information, drawing conclusions, and making recommendations. AI is used in many ways, from spotting patterns in huge piles of unstructured data to powering the autocorrect on your phone. Blockchain is a secure, decentralized, and transparent way of recording and sharing data, with no need to rely on third-party intermediaries. The digital currency Bitcoin is the best known blockchain application. However, the technology can be used in other ways, including making supply chains traceable, securing sensitive medical data anonymously, and combating voter fraud. New computational technologies are making computers smarter. They enable computers to process vast amounts of data faster than ever before, while the advent of the “cloud” has allowed businesses to safely store and access their information from anywhere with internet access, at any time. Quantum computing technologies now in development will eventually make computers millions of times more powerful. These computers will have the potential to supercharge AI, create highly complex data models in seconds, and speed up the discovery of new materials. 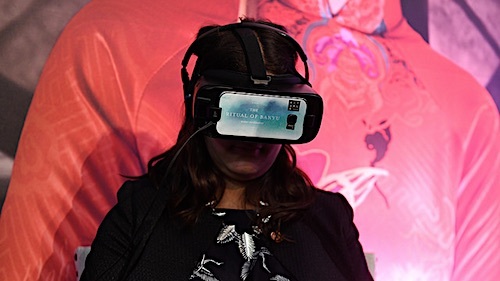 Virtual reality (VR) offers immersive digital experiences (using a VR headset) that simulate the real world, while augmented reality merges the digital and physical worlds. Examples include L’Oréal’s makeup app, which allows users to digitally experiment with makeup products before buying them, and the Google Translate phone app, which allows users to scan and instantly translate street signs, menus, and other text. Biotechnology harnesses cellular and biomolecular processes to develop new technologies and products for a range of uses, including developing new pharmaceuticals and materials, more efficient industrial manufacturing processes, and cleaner, more efficient energy sources. Researchers in Stockholm, for example, are working on what is being touted as the strongest biomaterial ever produced. Robotics refers to the design, manufacture, and use of robots for personal and commercial use. While we’re yet to see robot assistants in every home, technological advances have made robots increasingly complex and sophisticated. They are used in fields as wide-ranging as manufacturing, health and safety, and human assistance. 3D printing allows manufacturing businesses to print their own parts, with less tooling, at a lower cost, and faster than via traditional processes. Plus, designs can be customized to ensure a perfect fit. Innovative materials, including plastics, metal alloys, and biomaterials, promise to shake up sectors including manufacturing, renewable energy, construction, and healthcare. The IoT describes the idea of everyday items — from medical wearables that monitor users’ physical condition to cars and tracking devices inserted into parcels — being connected to the internet and identifiable by other devices. A big plus for businesses is that they can collect customer data from constantly connected products, allowing them to better gauge how customers use products and tailor marketing campaigns accordingly. There are also many industrial applications, such as farmers putting IoT sensors into fields to monitor soil attributes and inform decisions such as when to fertilize. Energy capture, storage, and transmission represent a growing market sector, spurred by the falling cost of renewable energy technologies and improvements in battery storage capacity. As these technologies change what’s possible, they’re also transforming customers’ expectations. 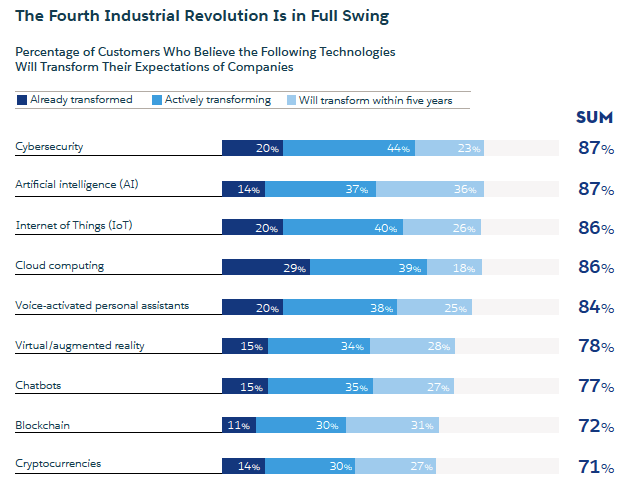 A global survey from Salesforce Research shows that a majority of those surveyed believe that these technologies — and the experiences they enable — will transform their interactions with companies within five years. 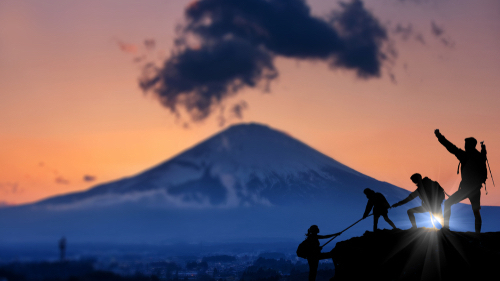 The research shows about half of customers say most companies fall short of their expectations for great experiences, while 76% report that it’s easier than ever to take their business elsewhere. Among the things customers regard as being “very important to winning their business” are connected processes, such as contextualized engagement based on earlier interactions (70%), and tailored engagement based on past interactions (59%). This means businesses must focus more than ever on delivering a customer experience that differentiates them from competitors. Get it wrong and they risk losing more than just the sale — 57% of customers have stopped buying from a company because a competitor provided a better experience. What’s more, 62% say they share bad experiences with others. With peer review sites and social media offering unhappy customers a greater audience for complaints, this can damage a company’s reputation. Because customers today expect personalized experiences, collecting quality data is more important for businesses than ever. Unfortunately, the research also found that 57% of customers are uncomfortable with how companies use their personal or business information. Almost two-thirds (62%) are more afraid of their data being compromised now than they were two years ago. To keep customers’ loyalty, companies need to not only deliver exceptional sales and service in brick-and-mortar stores and online, but also prove that they have customers’ best interests at heart. 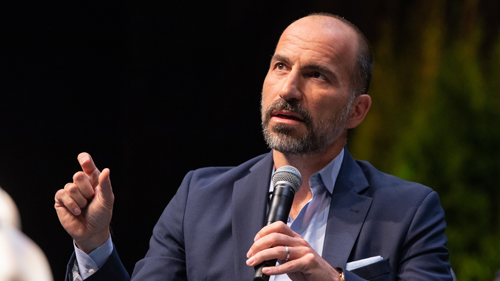 Salesforce Chairman and Co-Chief Executive Officer Marc Benioff believes a “trust revolution” is needed if businesses are to fully embrace the potential of the Fourth Industrial Revolution. How will the Fourth Industrial Revolution affect the future of work? Nowhere is the upheaval of the Fourth Industrial Revolution more likely to be felt than the workplace. As with previous industrial revolutions, the Fourth Industrial Revolution will profoundly affect people’s lives as AI and increased automation see many types of jobs disappear. At the same time, entirely new categories of jobs are emerging. As the Fourth Industrial Revolution reshapes the future of work, businesses must prepare their people for the new world that lies ahead. This often means an increased focus on continual learning, building more on-ramps to new types of jobs, and a commitment to diversity. Businesses will need to ensure they have the right mix of skills in their workforce to keep pace with the changing technology. 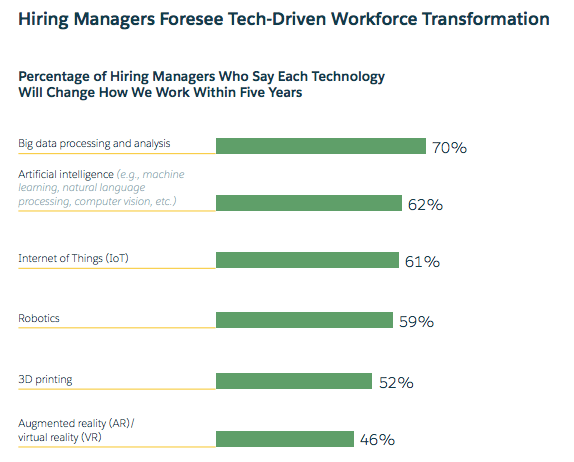 Another study shows that 59% of hiring managers believe that AI will impact the types of skills their companies need. Workers will more than likely need to update their skills, not just once but many times throughout their careers. Many senior executives are already asking how all this will be achieved. Ebony Frelix, Executive Vice President and Chief Philanthropy Officer at Salesforce.org, addressed the issue as part of a panel discussion at Dreamforce ‘18, where she said businesses and governments need to share responsibility for upskilling workers. In the Fourth Industrial Revolution, she said, it will be important to creating nontraditional pathways for building skills. One example is Salesforce’s Pathfinder training program, created in 2017 in partnership with Deloitte. 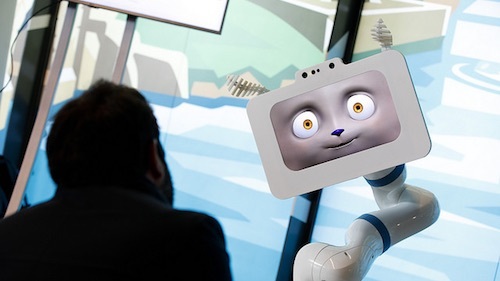 “Companies need to be thinking about enabling their employees to both code in new coding languages, but also to change their mix of soft skills,” added Zvika Krieger, co-leader of the World Economic Forum’s Center for the Fourth Industrial Revolution. How do we ensure the Fourth Industrial revolution is good for everyone? With the Fourth Industrial Revolution presenting both immense opportunities and challenges, it’s up to all of us to work together to ensure that it benefits everyone. With businesses at the forefront of the Fourth Industrial Revolution, driving both innovation and social disruption, they must also play a pivotal role in ensuring that the needs of all stakeholders are met, and not just those of shareholders. Pointing to companies such as Dow, IBM, and Siemens, which are already investing in programs to help people to acquire new skills, Benioff called on CEOs to do more to “build the workforce of the future, while bringing along the workforce of today.